Always wanted CODE: Closers to grow and to experience an even bigger community? Wanted to contribute to CODE: Closers while also getting rewarded for doing so? Now's your chance! We're happy to announce our very first social media event. All you have to do is participate within Social Media by following/Liking CODE: Closers on various sources. Doing so will make you automatically contribute to our milestones. 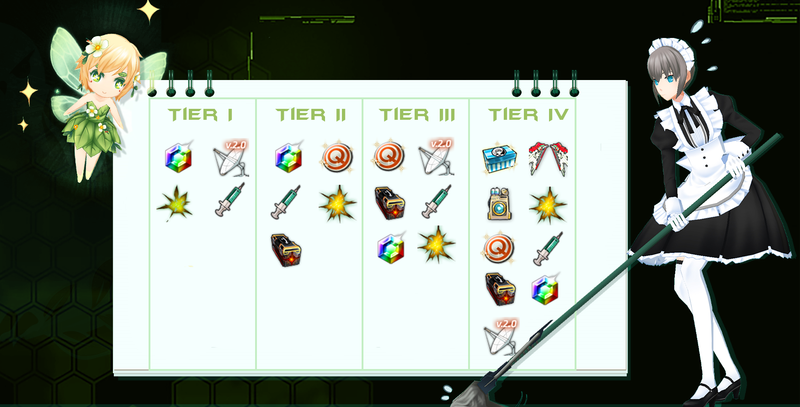 Each Milestone is linked to a specific reward (Tier), which will be made available once the event is over. So if you want those neat goodies, make sure to tell your friends! Please keep in mind that milestones won't stack, for example reaching milestone 1 and 2 will only grant the reward of tier 2 and not both tiers. Tumblr: 250 Followers + 250 reposts/likes of the latest CODE: Closers post. Twitter: 250 Followers + 250 Retweets/Likes of the latest CODE: Closers post. Youtube: 250 Subscribers on our youtube channel. Tumblr: 500 Followers + 500 reposts/likes of the latest CODE: Closers post. Twitter: 500 Followers + 500 Retweets/Likes of the latest CODE: Closers post. Youtube: 500 Subscribers on our youtube channel. Tumblr: 1000 Followers + 750 reposts/likes of the latest CODE: Closers post. Twitter: 1000 Followers + 750 Retweets/Likes of the latest CODE: Closers post. Youtube: 1000 Subscribers on our youtube channel. NOTE: Special exception to Tier IV, achieving 2/3 of the goals will complete this milestone. Tumblr: 3000 Followers + 1000 reposts/likes of the latest CODE: Closers post. Twitter: 3000 Followers + 1000 Retweets/Likes of the latest CODE: Closers post. Youtube: 3000 Subscribers on our youtube channel. We're also very excited to bring back C:C Network to our forums for this Social Media event! There will be amazing prizes for the winners and the winner will also have it's video published on our Youtube channel! Thank you all for doing your utmost best for this social media event! Unfortunately none of the milestones have been achieved. However keep your eye out on these social media platforms... a little birdy told me contests would be available through those platforms.